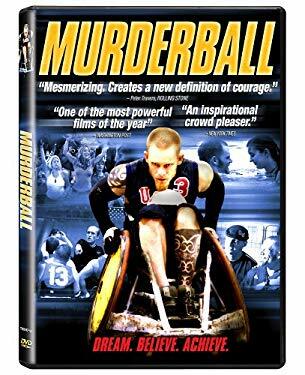 Like any other great sports story, Murderball features fierce rivalry, stopwatch suspense, dazzling athletic prowess, larger-than-life personalities and triumph over daunting odds. But Murderball, the original name for the full-contact sport now known as quad rugby, is played by quadriplegics in armored wheelchairs. Murderball is a story like no other, told by men who see the world from a different angle. Quad rugby players have suffered injuries that have left them with limited function in all four limbs. Whether by car wreck, gunshot, fist fight, rogue bacteria or any of an endless list of possible misadventures, quad rugby's young men have found their lives dramatically altered. Watching them in action -- both on court and off -- smashes every stereotype one has ever had about the handicapped. It also redefines what it is to be a man, what it is to live a full life, and what it is to be a winner.